In the Croatian Danube region, the first research into Roman sites followed the infrastructure construction works in the second half of the 18th century. The famous researchers of the time are Friedrich Wilhelm von Taube, Stephan Schoenwisner and Matija Petar Katančić. In late 19th century, a network of museum commissioners was established in Slavonia, and museums in Croatia started to receive first archaeological artefacts. Given that the Croatian part of Baranja was part of Hungary in the early 20th century, data about the sites and findings can be found in Hungarian literature of the time. In early 20th century, Radoslav Franjetić and Josip Brunšmid were interested in old sites in eastern Croatia. They mention the location of Late Antique cemeteries and pipeline in Ilok, as well as Roman watchtowers in Srijem, namely Ilok, Šarengrad and Veliko Renovo. After the integration into the Kingdom of Serbs, Croats and Slovenians, the section of the Limes in Baranja was supervised by the Historical Association in Sombor until 1945. During World War Two, Hungarian archaeologists investigated Late Antique graveyards, while after the war, Danica Pinterović was the first to walk the terrain, conduct minor research and arhaeological surveys. In the 1960’s, the research of the Limes gathered pace, although there were not any excavations, only field walks. Research was encouraged at the Fifth International Limes Congress, which took place in Yugoslavia in 1960. An Interacademic Committee for the Research of Limes was established in 1962 and Pinterović headed all the research of the Croatian section of the Limes under that programme. The results were summed up by Mirko Bulat in 1968, in Osijek. He divided the Limes into three areas: the old Danube bank, area close to the Danube and the area in the background. Afterwards, experts from the Town museum in Vukovar and The museum of town Ilok were also briefly involved. In 1975, there was a convention in Varaždin called Antique Cities and Settlements in Southern Pannonia and Border Areas, organized by the Yugoslav Union of Archaeological Associations. At the conference in Vukovar in 1981, entitled Archaeological Research in Eastern Slavonia and Baranja, Bulat reviewed the studies in eastern Croatia in the interim period. In the 1980’s, there was an initative to establish a Museum of Baranja in Darda which would systematically present the history of the region. However, the material from that museum was allegedly lost in the War of Independence during the 1990’s. Generally speaking, until Independence, little relevant data on the location, size and type of Roman sites in that section of the Limes was accumulated. After 2000, Mirjana Sanader, professor at the Department of Antique Provincial and Early Christian Archaeology at the Faculty of Social Science in Zagreb, brought attention to the problems on research of the Croatian Limes, and can be credited for its inclusion on the UNESCO tentative list in 2005. 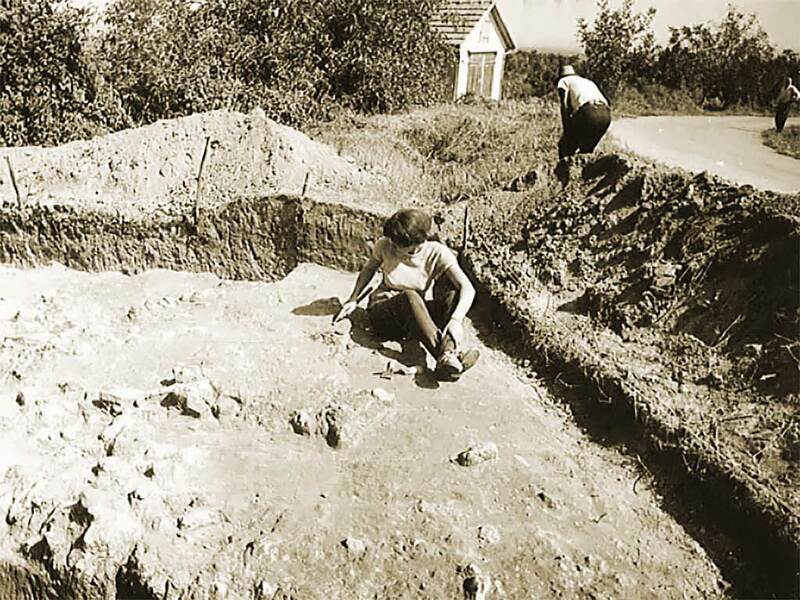 Systematic archaeological research in independent Croatia was undertaken in Zmajevac from 1999 to 2011 (Slavica Filipović), in Ilok from 2001 to 2007 (Željko Tomičić, Marko Dizdar), initial research was carried out in Sotin from 2009 to 2010 (Daria Ložnjak-Dizdar, M. Dizdar, Mirela Hutinec), while geophysical surveys were conducted in Batina, Kneževi Vinogradi and Lug from 2010 to 2013 (Igor Vukmanić, Branko Mušič). Rescue excavations were carried out in the same period in Batina and Lug (I. Vukmanić). On an national level, the Museum of Slavonia is involved with issues about the Croatian Limes, as well as the process of its insertion on the UNESCO World Heritage list.